Swimming and low impact aerobic exercise has been well documented as one of the most healthy forms of exercise. The ability to stay fit in the weightless buoyancy of a water environment is unmatched in it’s long term health benefits. 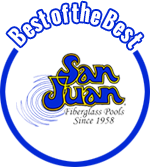 Installing a pool at your home either indoor or outdoor provides a convenient, healthy, private environment without the hassles of waiting for a swim lane, crowded pools, unclean locker rooms, or lengthy commutes. 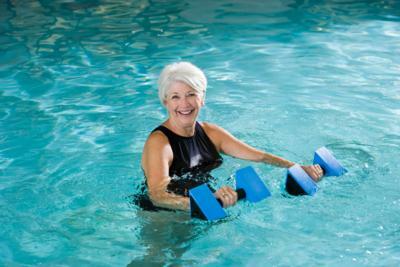 Capitol Pools offers many options when investing in an at home exercise therapy pool. We offer numerous pool models with varying depths, bench seating and walk in steps. If accessibility is a concern for you, we have lifts available that will gently lower you into the pool and back out again. You can add a resistance swim system capable of producing a current of water ranging from a gentle flow for low impact aerobics or a swift current suitable for fitness training. We can even incorporate a hot tub for warming up prior to exercising; add powerful hydro-therapy jets to sooth away aching joints and muscles, or it can be used simply for social enjoyment. Whether your goal is to rehabilitate from injury, enhance range of motion and flexibility, maintain quality of life, or train for an iron man competition, Capitol Pools can design and build an exercise/therapy pool to fit your needs. For more information about exercise/therapy pools or to schedule a no obligation at home consultation Contact Us or call 608-837-7665.